Blizzcon is this weekend and Blizzard’s first foray into the first-person shooter genre, Overwatch, definitely looks like it’s going to be headlining the show. With the game currently in closed beta and building a lot of excitement, there’s bound to be plenty of new announcements throughout the convention. In fact, Blizzard couldn’t help but send out some early teasers on what we can expect to see in Overwatch‘s future. Whether or not all of this will be ready to play by Blizzcon or simply demonstrated in detail is unknown, but odds are that we won’t have to wait much longer to see a lot more of what the developers have up their sleeves. Until then, let’s comb through all of the teasers that we have already and see what we can discover. The first teaser is easily the most confusing as it depicts a movie poster from the world of Overwatch with no obvious indications as to what it’s actually hinting at. The most prominent features are the aliens, but it seems unlikely that one of them will be appearing as a playable character. There’s no mention of extraterrestrial life within the game’s current lore, and the use of the mere existence of aliens as sci-fi shock indicates that first contact has not been made. My guess is that this poster is meant to tease a Hollywood-like map where players will fight across various film sets, such as the one featured in the poster. Alternatively, it could be a hint at the moonbase Winston was raised in being a map, but this seems like a roundabout way of hinting at it. The text on the poster shouldn’t be overlooked as the imagery may be misdirection for the real hint. Starting from the top, Goldshire Pictures is an obvious reference to World of Warcraft as Goldshire is one of the villages within the Alliance. Looking towards the bottom, we have another shout-out to WoW with the bit about Kilrogg-Vision. Kilrogg Deadeye is an orc shaman who had an important role in the recent Warlords of Draenor expansion and is most famous for sacrificing one of his eyes in a tribal ritual. Next, we have the names of the cast with the leading actors being Jack Stirling and Madeline O’Neal. Interestingly, a man named Jack Sterling has been a recruiter working for Blizzard for the last 21 years, so this may just be another Easter egg. However, I couldn’t find anything that could tie to Madeline O’Neal or the other listed actors, Maisie Jones, Ayisha Ekwensi, and Thespion 2.0. When sharing the image on social media, Blizzard put attention on the director, producer, and screenwriter of the film, HAL-fred Glitchbot, whose name is an obvious allusion to the villain of 2001: A Space Odyssey. It’s possible that one of these, most likely Madeline, will be a playable character. An actor/actress could make for an interesting infiltrator with an emphasis on disguises, or HAL-fred could appear as a master of special effects. Of course, this poster may just be a background decoration for the game that won’t actually amount to anything, but that seems like a weird thing to tweet out just before Blizzcon. The next tease is much more straight-forward as confirmation of a new playable character. 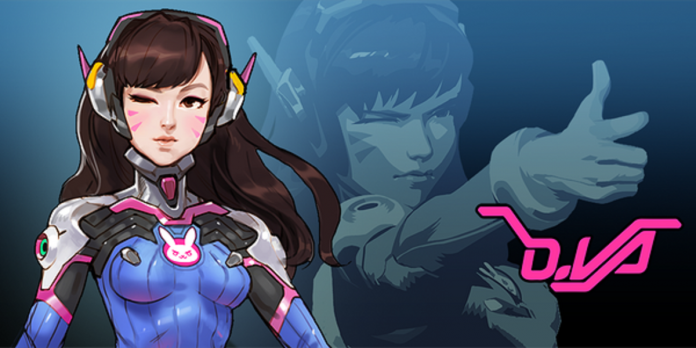 Hana “D.Va” Song is a young woman from South Korea and she is, I kid you not, a professional Starcraft II player. It’s common for companies to make references to their other games, but this has to be the first time that a player of one game is used as a character class in another. What’s next, is Tekken 7 going to have the record-holder for Pac-Man as a fighter? Blizzard even put up a fake player profile for D.Va on the Starcraft II website that explains her backstory. She became the #1 ranked player in the world at the age of 16 and remained undefeated for the next three years. Recently, she stepped away from pro-gaming in favor of defended her home country from the various crises plaguing the world, similar to Zarya with body-building and Lúcio with music. 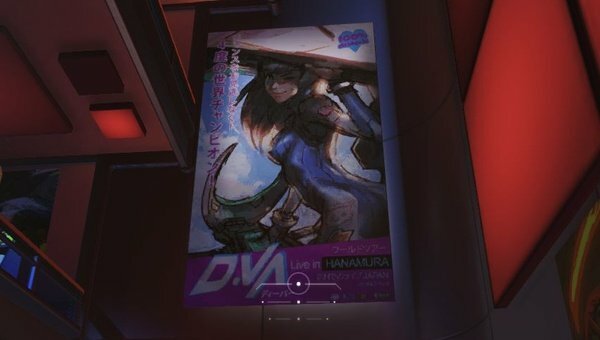 No information on her playstyle has been released, but a poster of her that can be found in the game suggests that she will pilot a mech suit and possibly act as a tank. Also, given that her area of expertise is strategy games, it’s a safe bet that she’ll have drones at her command to capture an RTS playstyle. Finally, we have a tease for both a new character and a new map. The tease comes in the form of journal entries from the perspective of Mei-Ling Zhou. Mei is a renowned climatologist and a colleague of Winston, making her an affiliate of the Overwatch organization. She has a very adorkable personality and is equipped with an endothermic diffuser, which is basically a freeze ray, of her own invention. It sounds like the diffuser is designed only to stun rather than deal damage, but it can also create pathways of ice. 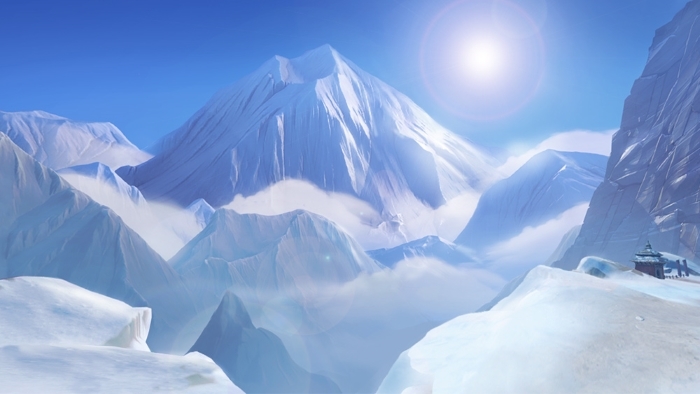 For the new map, all signs point to the Himalayas as Mei states she is doing research in the mountains of Asia and begins her final entry with a traditional Hindu greeting. The one image included in the journals offers a small peek at the new map. There are also a few more subtle suggestions within the journal entries. For one, Mei mentions a companion of hers named 雪球, which translates to ‘Snowball’, and states that he/she/it isn’t much for conversation. There’s no further mention of Snowball, so whether it’s a pet, another playable character, or even a literal snowball is anyone’s guess at this point. Mei also mentions an old-fashioned film called Six-Gun Killer starring Olivia Rai, which is another actress not listed on the They Came From Beyond the Moon poster. Either Blizzard really likes dreaming up fake movies and actors (which is certainly possible) or there has to be more to these movie references. There’s bound to be plenty of news on Overwatch throughout Blizzcon this weekend. Which of these teases do you most want to see more on? What other surprises could Blizzard have up their sleeves? We still haven’t seen any hints of the robot ninja, hazmat worker, or other unannounced characters that were spotted in early promotional art. Leave a comment below and let us know what you think.